← Ahvaz steelworkers: Free the last two! 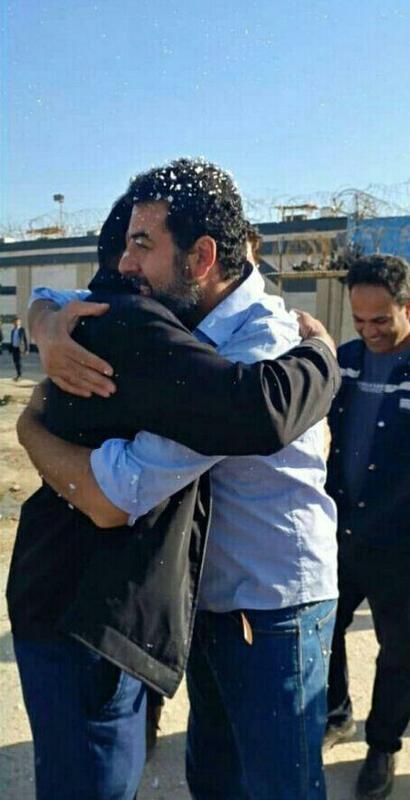 At noon today Karim Sayahi and Taregh Khalafi were freed from jail. They were the last two Iran National Steel Industrial Group (INSIG) workers in custody. At least 43 steelworkers from National Steel in Ahvaz were arrested by the Iranian regime’s intelligence and security forces at midnight on December 16th 2018 and had been held in jail since then. Source: Haft Tappeh Sugar Cane Workers’ Union’s Telegram channel. See also: Ahvaz steelworkers: Free the last two!